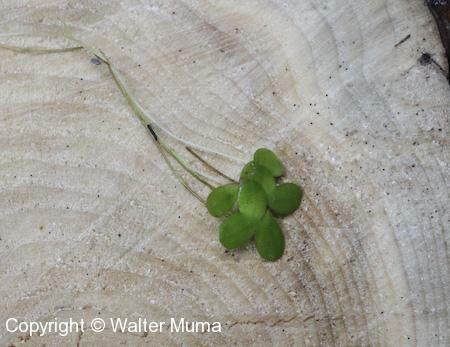 Distinctive features: Tiny floating plants. 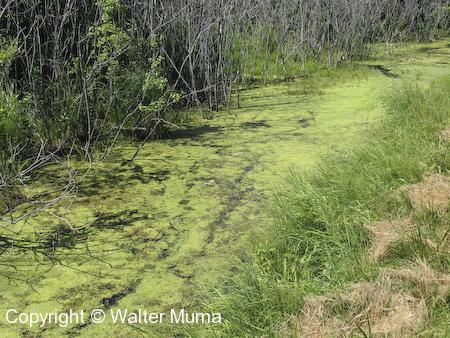 Notes: There are several species of Duckweed in Ontario, and they are difficult to tell apart. 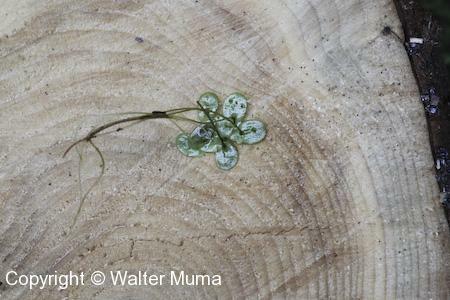 Photographs: 126 photographs available, of which 8 are featured on this page. SCROLL DOWN FOR PHOTOGRAPHS. 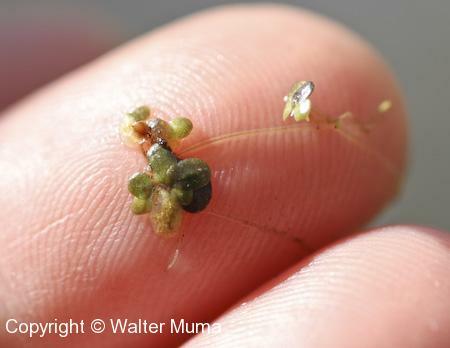 Lesser Duckweed are tiny plants that live on the surface of small ponds. 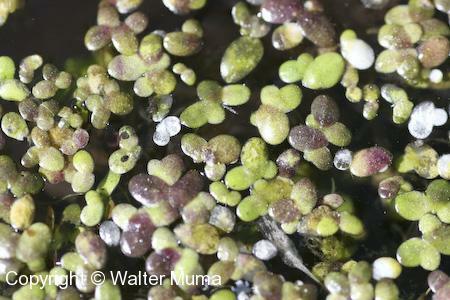 Closeup viwe of a single Lesser Duckweed plant. A small mass of several plants. 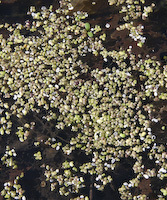 Lesser Duckweed growing on the pond surface. 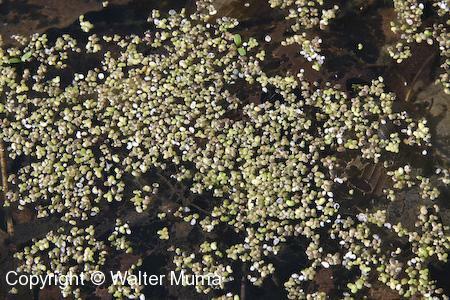 Here's what a pond covered with Lesser Duckweed look like. 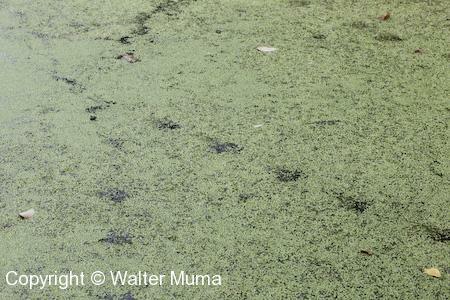 Great Blue Heron tracks through Lesser Duckweed.